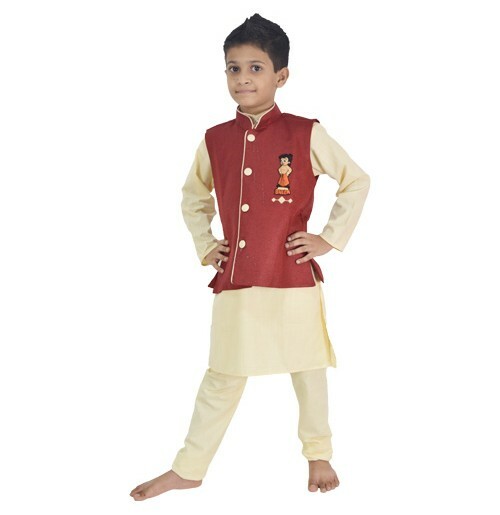 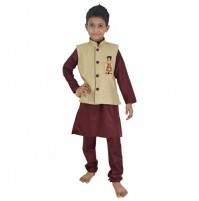 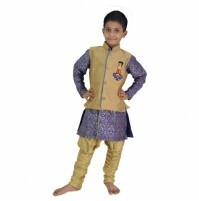 This is an impeccable Indian Full sleeves Kurta, Waistcoat and Pajama set designed keeping in mind the fashion need of the new age child. 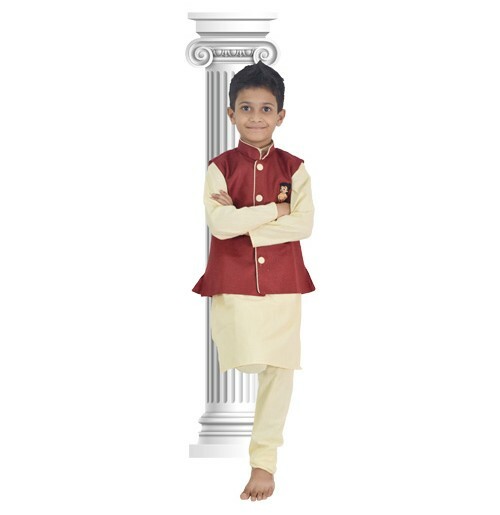 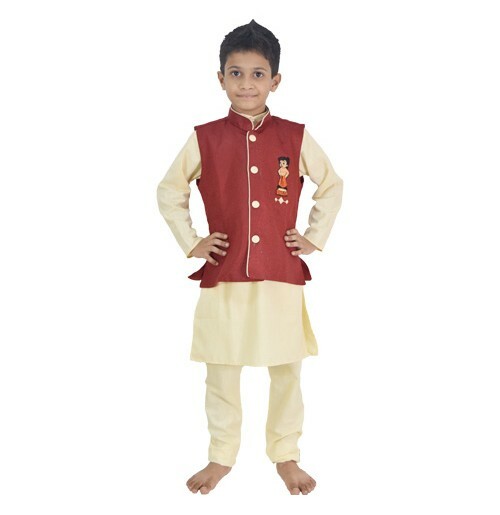 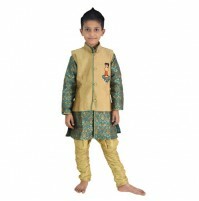 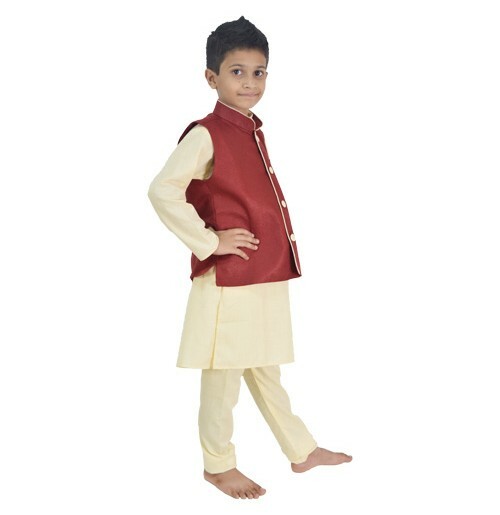 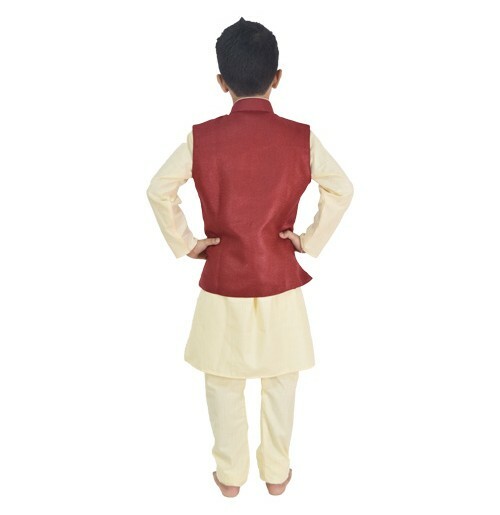 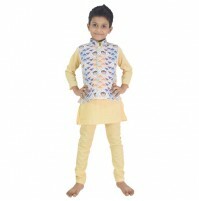 The base color Kurta with a mandarin collar goes very well with the Chhota Bheem themed waistcoat. 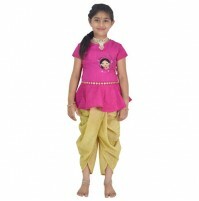 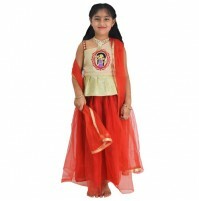 Made from jute and poly cotton this set guarantees best comfort!